Oh, man, you guys! This book is so good! The Bedlam Stacks is the second novel by the author of The Watchmaker of Filigree Street, and I’d forgotten how good that novel was, too! They both have this beautiful atmosphere of dreaminess and suspense, and all the characters are so smart and interesting, even when they are at odds with each other, and the dialogue is so witty! So, The Bedlam Stacks is about a guy who works for the East India Company as a smuggler, which the book fully recognizes is super problematic. Merrick Tremayne travels around the world, steals other countries’ protected resources and brings them back to London for the English company to sell at a huge profit. When the story starts, he has been injured in China and convalescing at his decrepit family estate. Though he isn’t fully able to walk yet, the company asks him to go to Peru to steal some cuttings of a native tree that is the main ingredient of the only known malaria cure at the time. I would say that this is a stand-alone book and you don’t have to read The Watchmaker first, but you actually do. There is very little overlap in characters and setting, but to borrow from the clockwork theme, there’s a small but important cog in the story that you won’t understand if you don’t already know the secret of The Watchmaker. One of the very cool chapters when things start falling into place won’t make any sense at all, and will probably just confuse everything worse. That said, The Watchmaker had one key magical element that transformed the very mundane London setting. The Bedlam Stacks exponentially expands the world-building to an entire region in Peru, where what we would consider magic is built into the way of life, both to the benefit and detriment of the locals. I loved it, it broke my heart, and I can’t stop thinking about it! If I told you that a book was like a YA Game of Thrones crossed with Ocean’s Eleven, would I even need to say anything else? I haven’t been reading a lot lately–due to a combination of work and personal events, I’ve been so busy and distracted and stressed that I haven’t been able to concentrate enough to read much beyond Twitter. Which is unusual for me, but it does mean than when a book manages to break through the fog, it’s something to note. Six of Crows by Leigh Bardugo is actually the first in a set of two books (and it’s basically just one big story, so you might as well go ahead and get Crooked Kingdom at the same time, because you’re going to need to start it right away) that I just thought were terrific. Tense and dark and sweet and magical and twisty–the kind of story that drags you completely out of your world and into a new one. Like Ocean’s Eleven, this story has an ensemble cast with a crafty leader who is always one step ahead of everyone else. In this case, the ringleader of the group is Kaz Brekker, an up-and-coming gang boss in a city that reads like an alternate universe Amsterdam where magic is real. When he gets offered a can’t-say-no job breaking into an impenetrable ice palace, he has to assemble a group of other disreputable underworld teenagers with the skills–including sharpshooting, demolitions, and magic–needed to pull off the heist. But this is not a simple theft, and the gang gets swept into disputes both international and interpersonal. Reading Six of Crows and Crooked Kingdom was like a roller coaster–I would get more and more tense as things went wrong and situations got dire, and then there would be this rush of glee as all the double-crosses and plans were revealed. Now, this isn’t a comedy. As appears to be the thing in YA books now, there is violence and death and things do get very dark. I should also note that this story is set in the same universe as another trilogy of books, starting with Shadow and Bone. I haven’t read those yet (they’re all waiting on my Kindle) but they happen some time before Six of Crows. 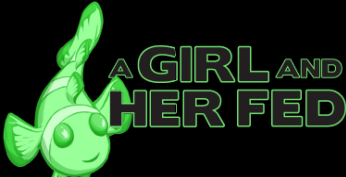 So if you’re very intent on reading things chronologically and not getting any hint of other story lines, you might want to start there. You might also like: We’ve already raved here about Megan Whalen Turner’s The Queen’s Thief series, but I really think that if you liked one of these, you’d like the other. Kaz and Gen have an awful lot in common. And this is great opportunity to tell you that Turner just came out with a new book in her series (technically, a stand-alone story in the same universe) called Thick as Thieves. Quick like a fox, go check it out! I never quite know what term to use for comic strips or comic books or graphic novels now that the medium has expanded so wildly beyond what those terms originally referred to. But I’ve got two online comic strips that I highly recommend because they’re charming and delightful and I just love the characters and the stories and the artwork. This only has eight issues out so far but it’s scheduled to be updated weekly and those eight issues are an utter delight! Meera is the personal assistant to international pop star / masked vigilante Carina. So while Carina does music videos and fights crime batman-style, Meera tries to make sure appointments are made and kept. And they both have adorable pining crushes on each other but neither have said anything (yet!) and it’s just too cute for words. Also, the illustrations are amazing and doing some really interesting things, because first they’re working with the online medium by displaying each issue as a single page down which the reader scrolls rather than trying to mimic a hardcopy comic book (at some point I think it would be really interesting to see if hardcopy comics can be made on scrolls to mimic websites), and second, they’re illustrated with just a couple of colors in a handful of shades, which gives it a sort of quick-sketch first impression while still being amazingly effective and detailed. This was a fun book, but I went into it with high expectations and it never matched them. I’ve read a lot of really good, fun regency romance adventures, with and without magic, and this one feels like what it is: a fan of that genre wrote his own take for fun, but without really going all out. Regency romance is fun genre over all, with complex manners and dresses and marriage missions, and Georgette Heyer is the clear founder and leader of the genre. Her characters are quirky and her plots of romance and manners are complex, and it all defines a time and culture of arbitrary rules that make so little external sense and yet have perfect internal structure. Garth Nix is clearly a fan, but his characters are a too flat and caricatured while the rules of society don’t have the same clarity and internal consistency. For regency romance with magic, Patricia Wrede and Caroline Stevermer with their Sorcery & Cecilia series or Patricia Wrede alone with her Mairelon series have brilliantly added layers of magical realism to the rules of society and it all really works well. 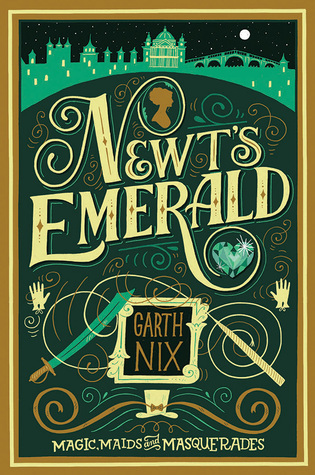 Despite how amazing the world building was in Nix’s Old Kingdom series (a series I definitely recommend), the rules of magic in Newt’s Emerald are mostly vague and hand-wavy while occasionally contradictory. The book that Newt’s Emerald was trying to be would have been awesome. Unfortunately, it just never quite developed enough–not the characters, the plot, or the world. None of this means that the book is terrible. It just… wasn’t great.